All their spending get carried away. 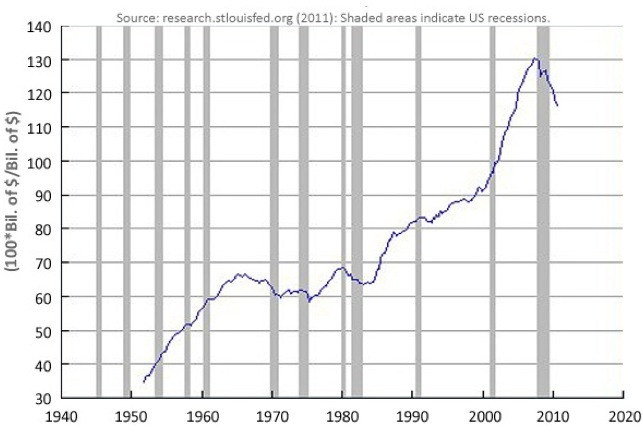 Joe Weisenthal points out in the Business Insider that the biggest impediment to American employment growth is a lack of demand for goods, which can be traced back to the enormous household debt burden (see graph). Though declining, it is still too high. The only ways around this problem are to develop more exports or substitute government spending until consumers get back on their feet. In a much-maligned conclusion, Weisenthal determines that, far from "getting in the way," government is failing to do its part.